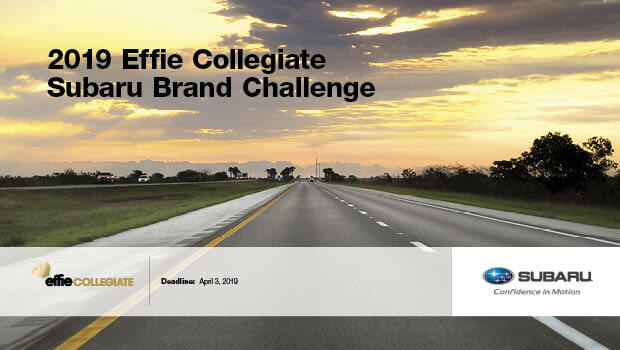 The Effie Collegiate Subaru Brand Challenge will open its Call for Entries in January 2019. The challenge is open to students enrolled in portfolio programs, graduate students and undergraduate students currently enrolled full/part-time at accredited educational institutions. The competition is free to enter.